What makes a winning public relations program? 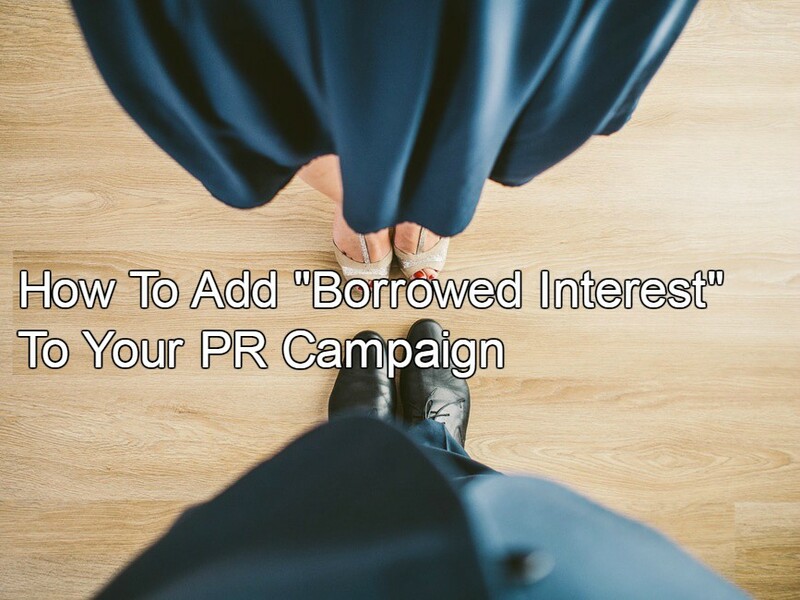 There are many factors, but one key to a strong program is what we used to call “borrowed interest.” PR works harder when teams build alliances with third parties to add credibility, news value, or social impact. We’ve been fortunate to have created several third-party collaborations with a goal of moving high-profile B2B and B2C PR campaigns from merely good to best-in-class. To prepare for a successful third-party collaboration, look for partners who bring elements that either mesh with the existing positioning and program, or bring needed elements, like an appeal to an emerging audience segment, or a call-to-action. Here are three great examples of partnerships that every PR team should consider if they’re interested in opportunities that will raise the bar and produce results. An expert spokesperson. A new product launch can have a predictable trajectory. When done well at the outset, a good PR team can generate a burst of news stories that are product-specific. The next phase may include round-up or compilation stories secured by making a new market entry a part of a trend or seasonal effort. Yet after the first and second waves of coverage, the challenge is how to continue the momentum. Often a compelling spokesperson is just what’s needed to inject vitality and extend the life of a product campaign. For example, once shopping app Retale had been in the marketplace for a few years, we engaged a personal finance expert to help drive visibility and humanize the Retale brand. Her charge was to present the app during seasonal broadcast appearances for back-to-school and Black Friday segments and interviews. One gratifying aspect of the partnership is that long after our financial contract ended, as a legitimate expert, she still mentions the app when appropriate. A third-party expert may not be as glitzy as a Kardashian, but most offer excellent credibility for a fraction of a celebrity budget. Retail and restaurant partnerships. Some of our most fruitful relationships have been with retail establishments – particularly restaurants. Recently we engaged a mixologist to develop recipes for a delicious craft beer in its second year on the market, adding some extra flavor and creative juice to the campaign. One exciting component of the collaboration was a Facebook Live event, which provided great exposure for both the beer and the restaurant. We’ve developed good working relationships with chefs and restaurateurs so that most are willing to partner with us in a non-monetary way, happy to get the exposure our team can provide. Social impact organization partnership. At some point in the evolution of a PR engagement, a CSR (corporate social responsibility) campaign may be an appropriate step. Savvy PR teams are always thinking of strategic collaborations that benefit both the company and an organization, but that aren’t a force fit. It’s important to develop and stick to specific criteria for any CSR program, as outlined in this recent post. One of the most successful social impact partnerships – now a classic – is the one between Verizon Wireless and several domestic abuse prevention agencies. Verizon’s Hopeline program collects used phones and other devices to refurbish and supply them to survivors of domestic violence. We managed several awareness-raising initiatives on its behalf, with strong outcomes. Why? Because, like the best collaborations, this one united two very different organizations with a common goal. Each brought something very distinct to the partnership, and each committed for the long term.